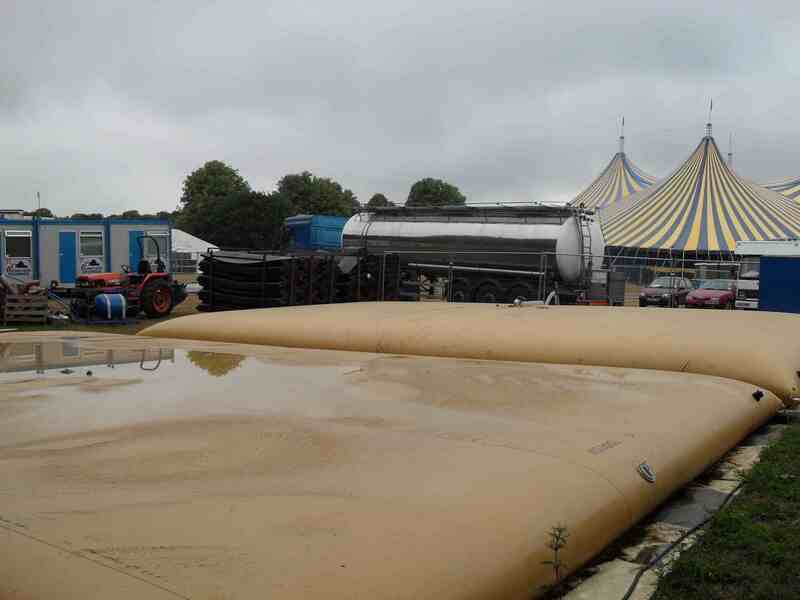 Event Water Services use a range of water tanks to store water for festival and event sites around Britain. 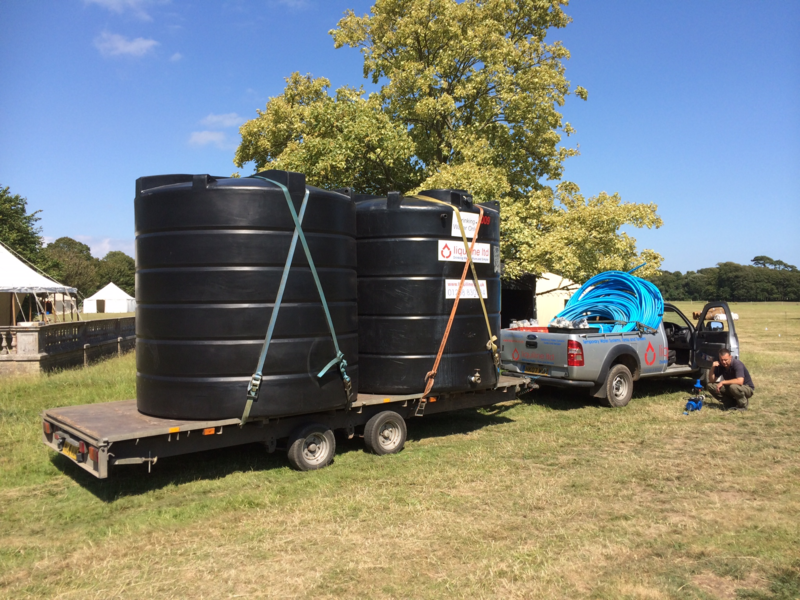 We have an extensive range of water storage tanks which are used as a stand alone solution, or as part of a temporary water supply network, designed and built specifically for the individual requirement of the event organiser. These bulk water storage tanks are used as onsite reservoirs; holding tanks that feed the temporary water supply networks that we design and build for each event or festival site. Despite their volume, the large bulk water supply tanks are easily deployable, normally delivered to site on a trailer towed by a 4x4 vehicle. 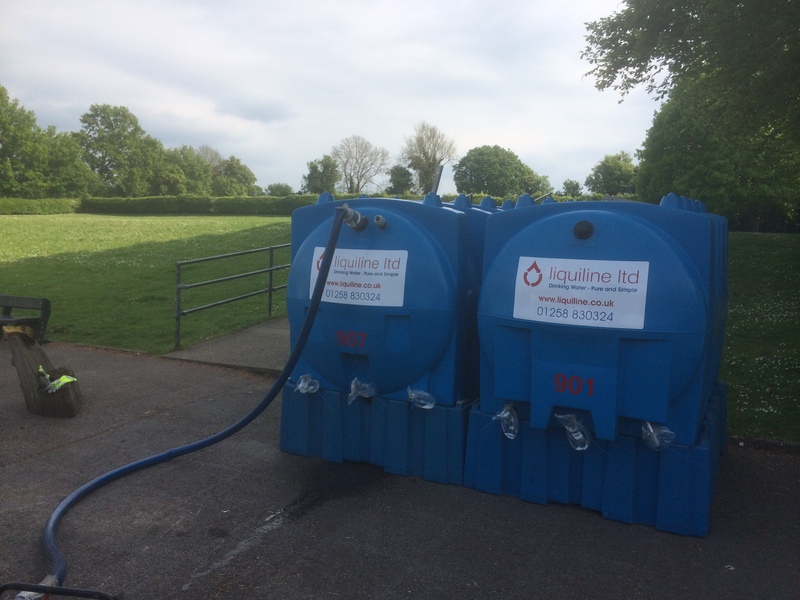 This ease of deployment makes them not only ideal for use on festival and event sites, but also for emergency water supply situations, where they are taken to site and filled using our fleet of water tankers. Tanks being loaded for a temporary water supply job at a well known marathon. 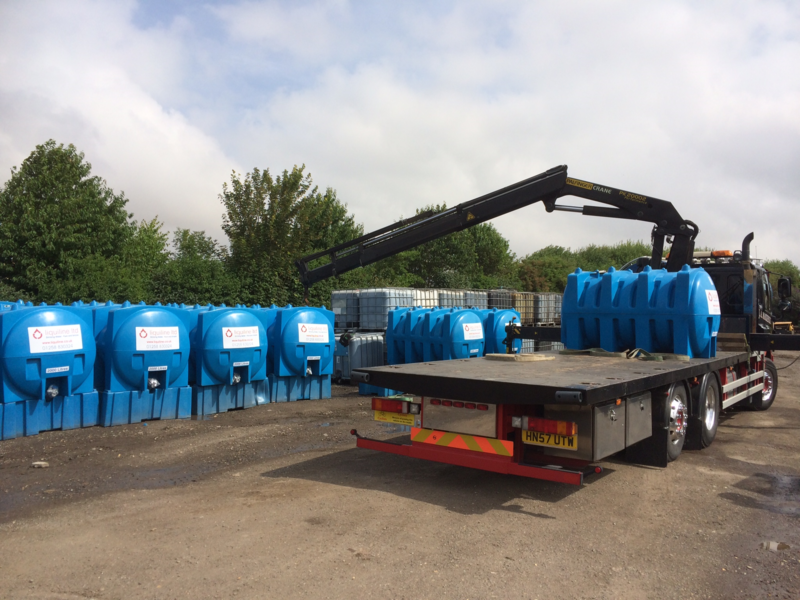 These 10 000 litre drinking water tanks were delivered to a remote spot, unsuitable for HGV's.